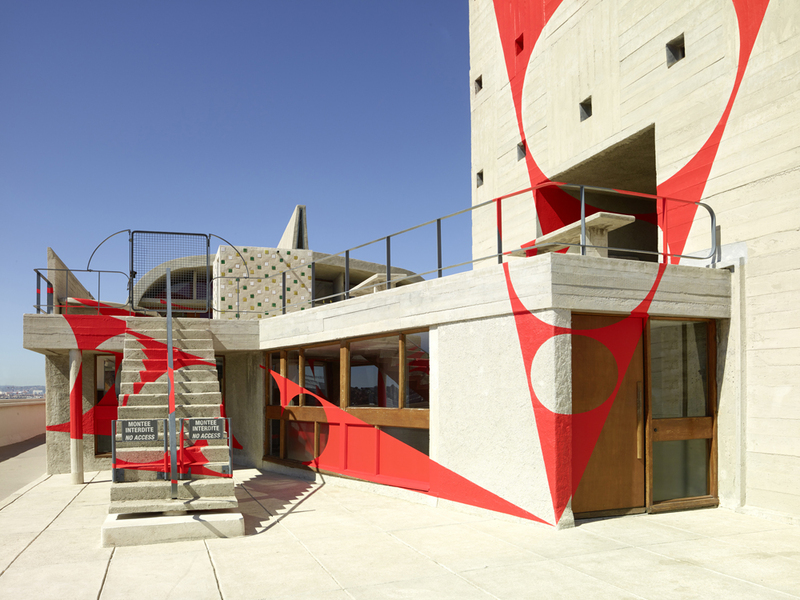 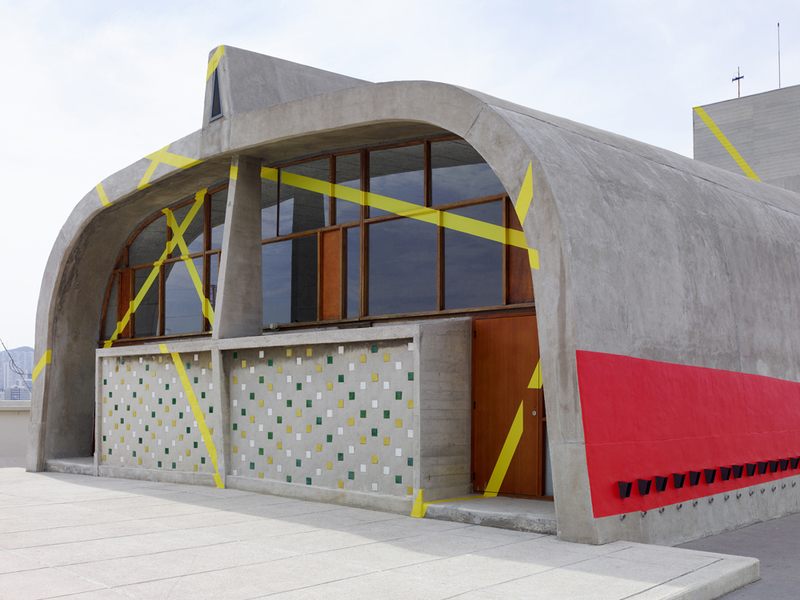 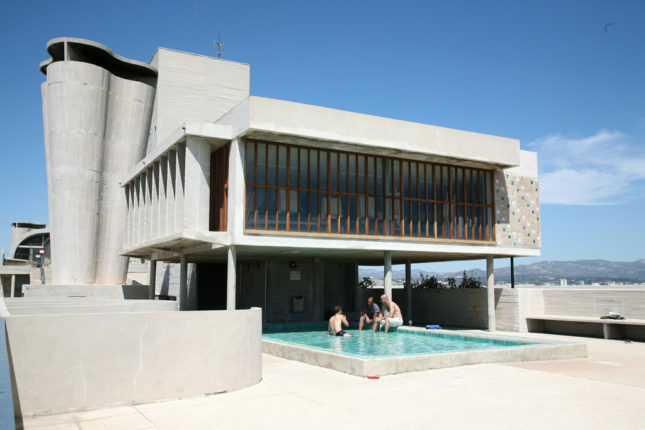 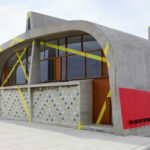 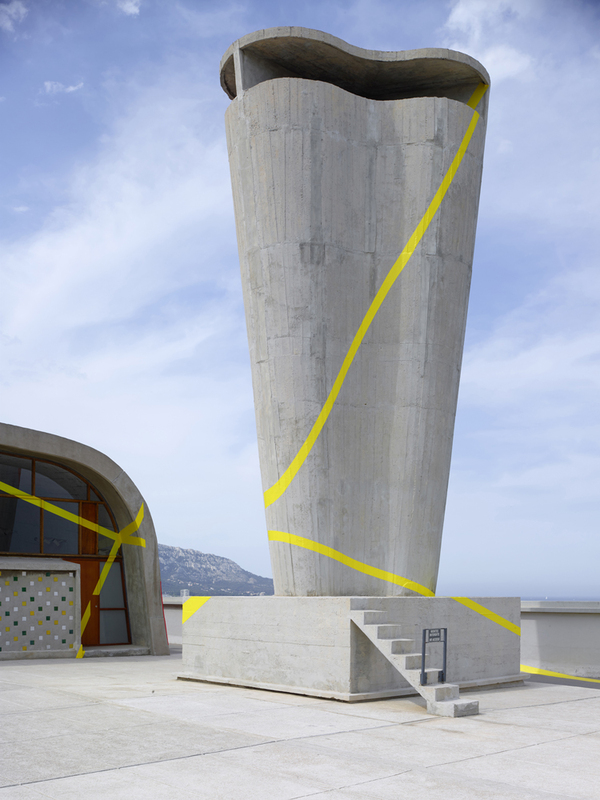 Defacing the work of Le Corbusier has become something of a trend of late. 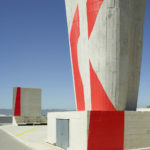 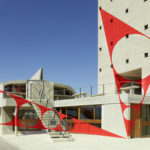 However, Paris-based Swiss artist Felice Varini has taken a more elegant approach to the fad. 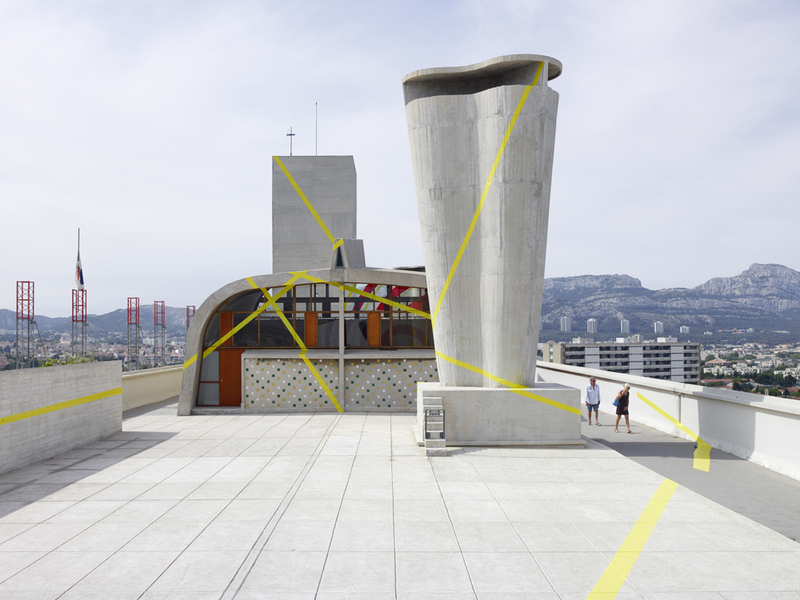 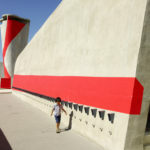 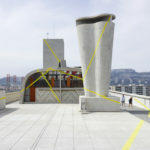 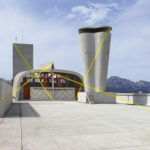 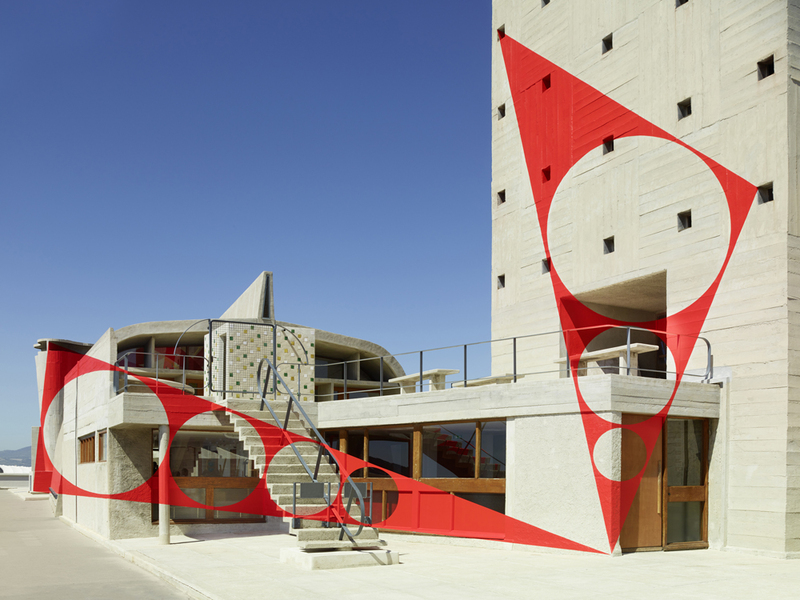 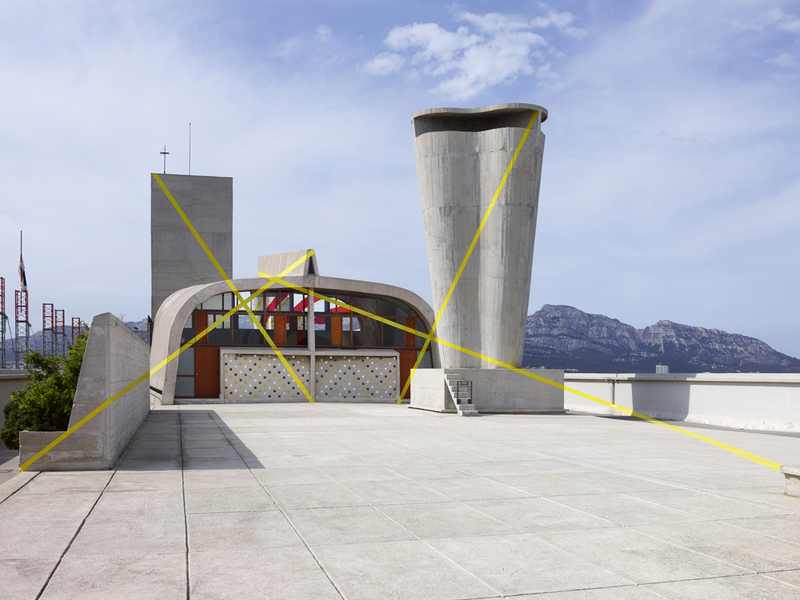 Using optical illusions, Varini’s art installation, À Ciel Ouvert (Open Air) is located on top of Le Corbusier’s La Cité Radieuse, built in 1952, an iconic modernist structure. 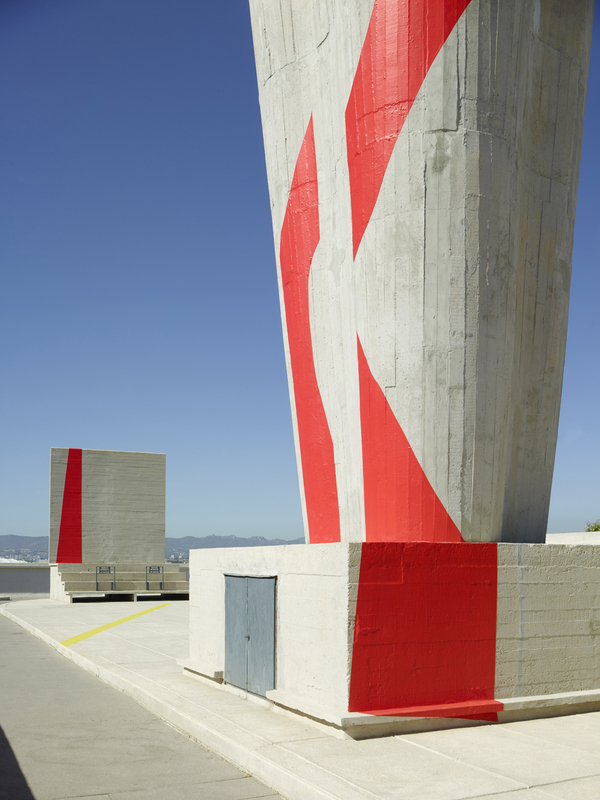 Famed for his illusory artwork, Varini has applied his hallmark approach to numerous buildings-turned-canvases over the years. 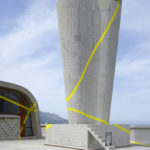 His work ranges from cellars to gothic churches, town squares, and a variety of urban environments. 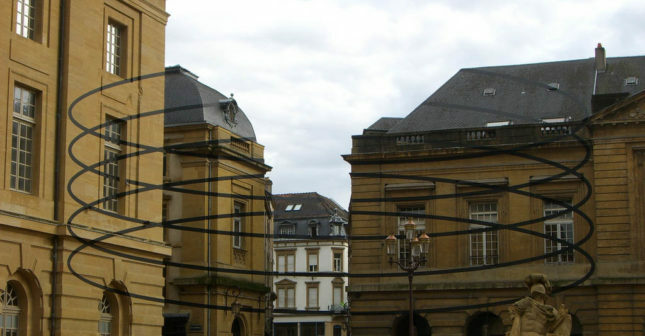 The art, by nature, relies on perspective and orientation. 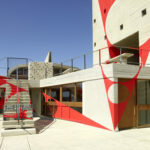 His style features a fragmented geometric aesthetic: circles, triangles and linear forms interact while others fall apart upon the concrete surface of the house. 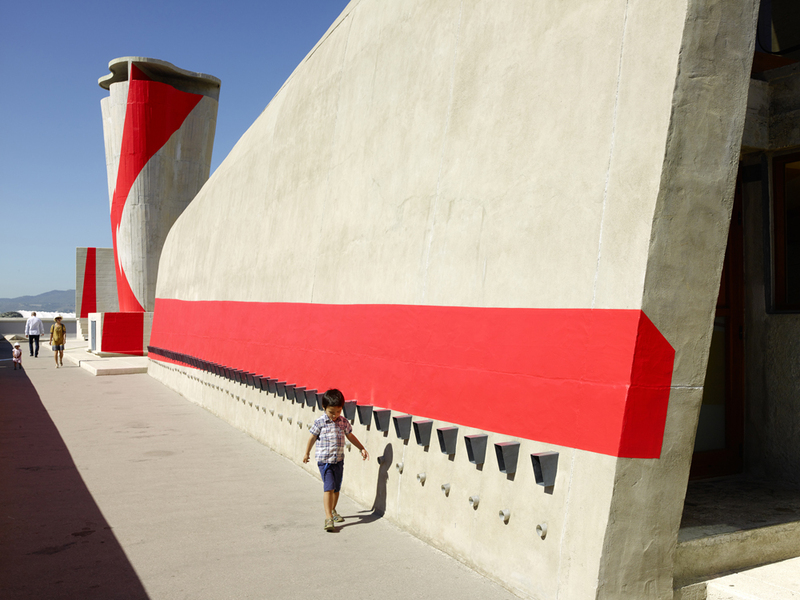 “My concern is what happens outside the vantage point of view,” said Varini in 2008.